Printed type specimens are somewhat of a rarity these days, it seems: when type is used in so many digital applications, without even seeing paper, they are possibly seen as being less relevant than they once were. Plus the sheer volume of fonts available and the speed at which new ones arrive means it would be impossible for print to keep up. But before digital type and the internet, specimen books were the only way to catalogue and market fonts. Today, they’re all too often seen as an expensive nice-to-have, rather than an essential resource. 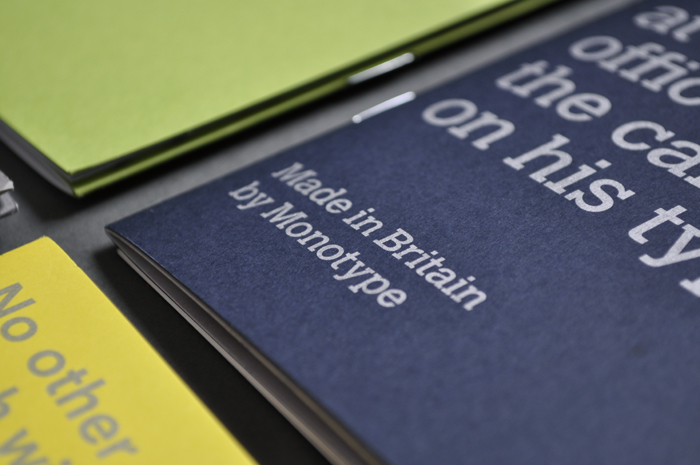 So, when Monotype popped in to our ‘day job’ to talk type, we were chuffed to see the effort that had gone into creating these beautifully designed and well considered suite of specimen booklets. Interestingly, the books aren’t arranged by usage or classification, instead each is curated by a guest editor with a chosen theme, such as; ‘Made in Britain’ or ‘unseen’. The dos-à-dos bound booklets are printed silver and classic black and red – and featuring some of the tightest margins we’ve seen – are a lovely example of what a type specimen can be: mixing rich language and functional character sets, with striking detail spreads and tidbits of each typeface’s history and origins. 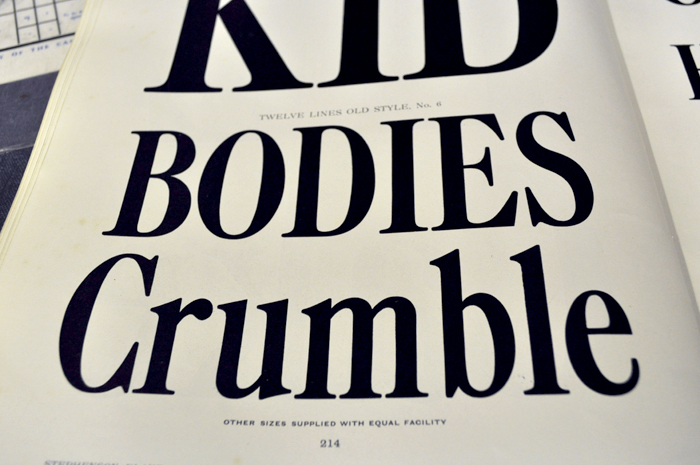 As designers we use Monotype products in some form or another almost daily, but as a press we’re becoming increasingly familiar with the Monotype of old, in it’s previous incarnation as a hot-metal type foundry. So for us, there was one typeface in particular that stood out from the rest: Caslon Titling. 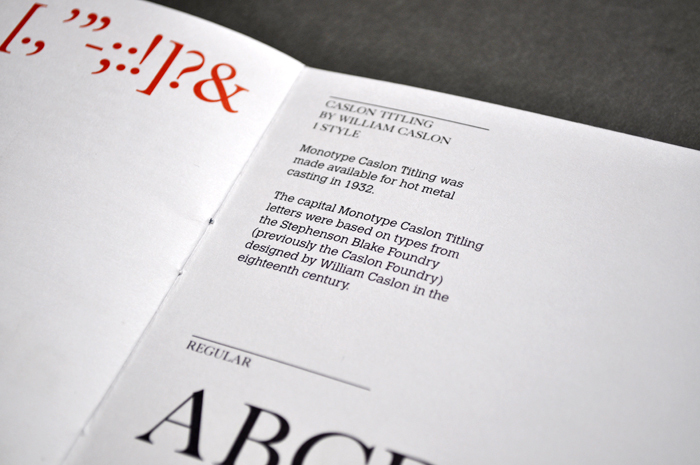 It turns out that the modern digital version of Monotype Caslon Titling is based on the cuts of Caslon by the Stephenson, Blake foundry – that in turn were taken from the original H W Caslon foundry, which it had acquired in 1936. 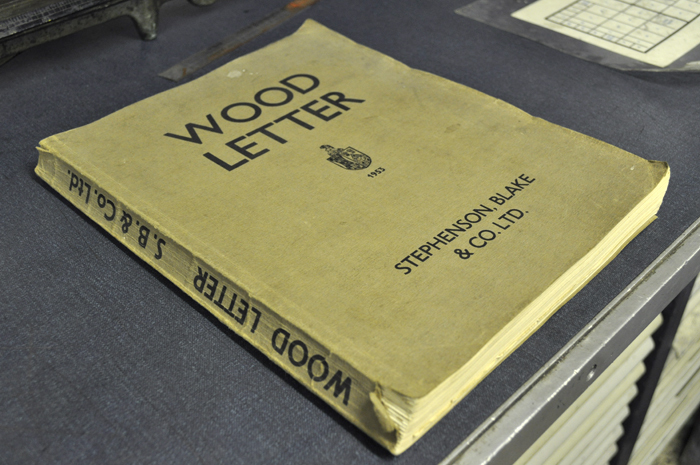 Stephenson, Blake called their hot-metal version 'Caslon Old Face' and their wood type cuts simply 'Old Style', as can be seen in these specimen books from 1969 and 1953 (below). 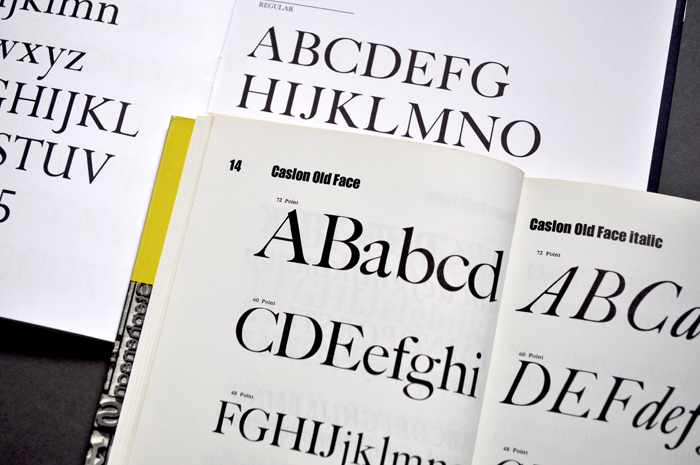 Above: Monotype Caslon Titling (behind), compared to Stephenson, Blake's hot-metal 'Caslon Old Face' from the 1969 specimen catalogue. 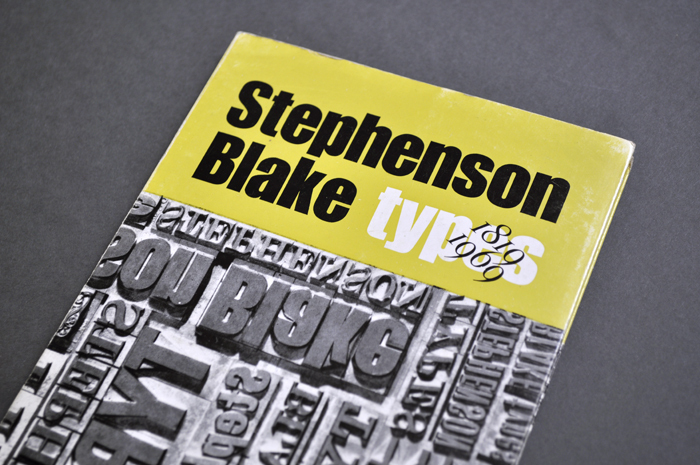 Above: Stephenson, Blake's wood type version of Caslon was simply called 'Old Style'. The No. 6, shown here, is a slightly condensed cut. 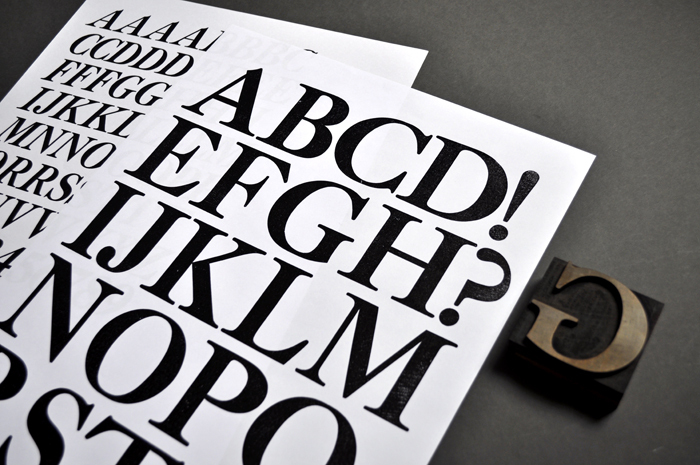 The reason this is so interesting for us is that we're fortunate enough to own several wood type founts of Stephenson, Blake 'Old Style' in both roman and the quite beautiful italic. The wood type versions are slightly heavier and less delicate than their metal — and now digital — counterparts, due largely to the nature of wood, but the letterforms are clearly of the same origin and design (for example, the scalloped apex of the 'A' and the serifed lower terminal of the 'C'). 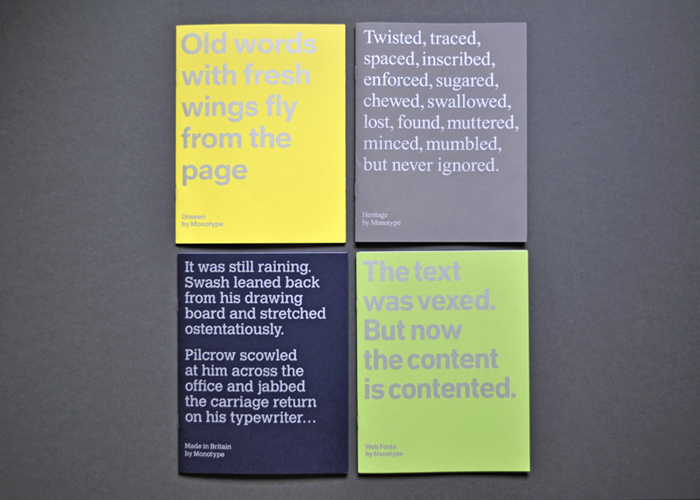 Above: Our specimen sheet proofs of Stephenson, Blake's Old Style No. 5 in 6-lines italic and 12-lines roman. So there you have it, the latest Monotype type specimens and a nod to the Caslon and Stephenson, Blake foundries of old, via a little journey in to hot-metal and wood type. Proof that printed specimens are still relevant and as beautiful to behold as they ever were. 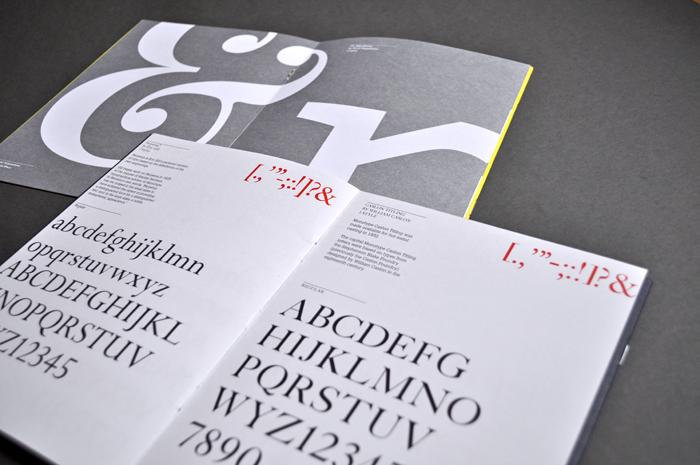 Specimen books for Monotype designed by Sea.